published our report detailing the insurance coverage of elderly american indian and alaska natives. saw everyone for a moment..
..friday morning at jhsph, found a new map. met david and matthew for the best. drove to the mennonite mill. finished the rightmost one year ago. over 2014, they made two better looking brothers. stocked up for the winter. plan to map the world without water, on mahogany. 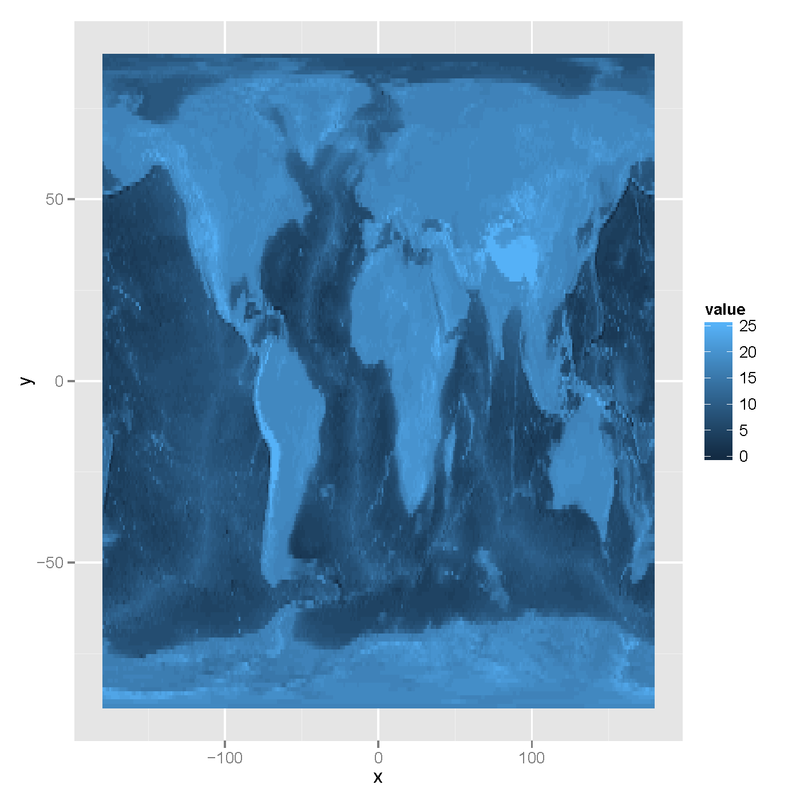 (code to reproduce) an elevation map without the plateau at sea level. cannot fit the larger block in my luggage, so i'll practice by relief carving chile. ate in frederick and afterward, sat around my father's kitchen table and bullshitted. i'll remember this morning.